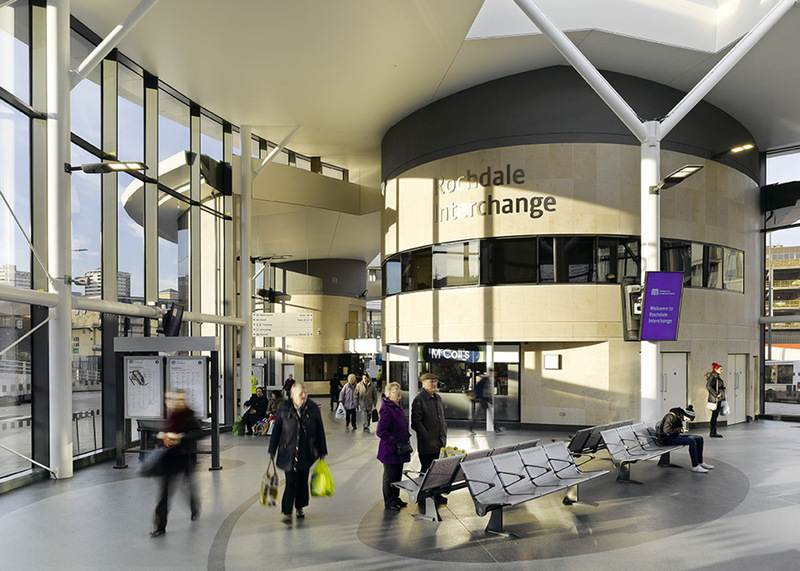 ROCHDALE INTERCHANGE IS THE FIRST OF TRANSPORT FOR GREATER MANCHESTER’S NEW GENERATION OF PUBLIC TRANSPORT FACILITIES AND FORMS A KEY COMPONENT IN THE ROCHDALE RENAISSANCE MASTERPLAN. 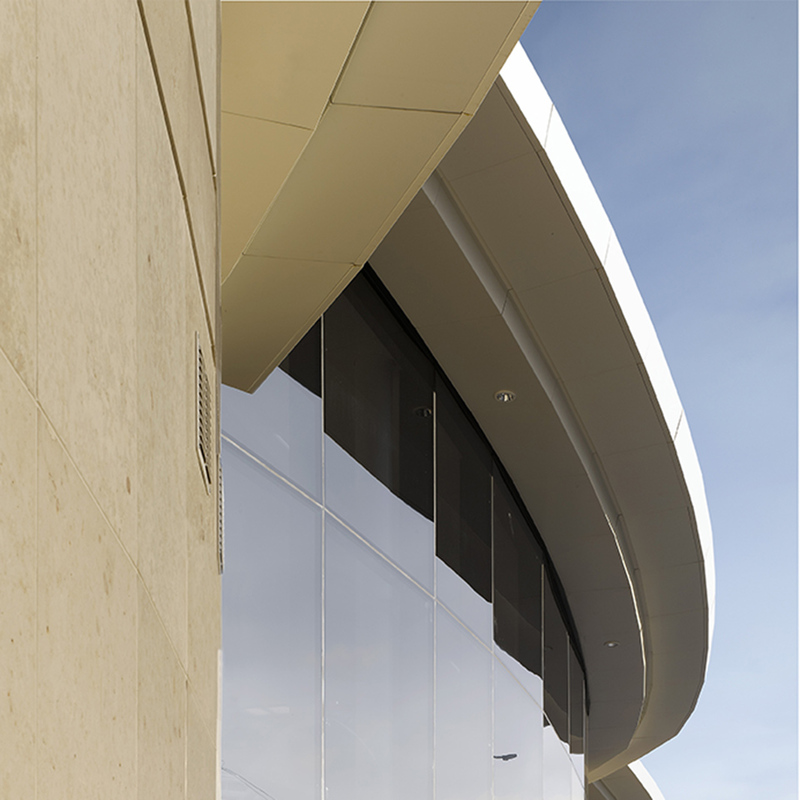 The use of form and structure creates a dramatic and impressive gateway for visitors and daily users, providing an enhanced user experience, passenger facilities, capacity for growth and one of Europe’s first hydroelectric powered interchanges. 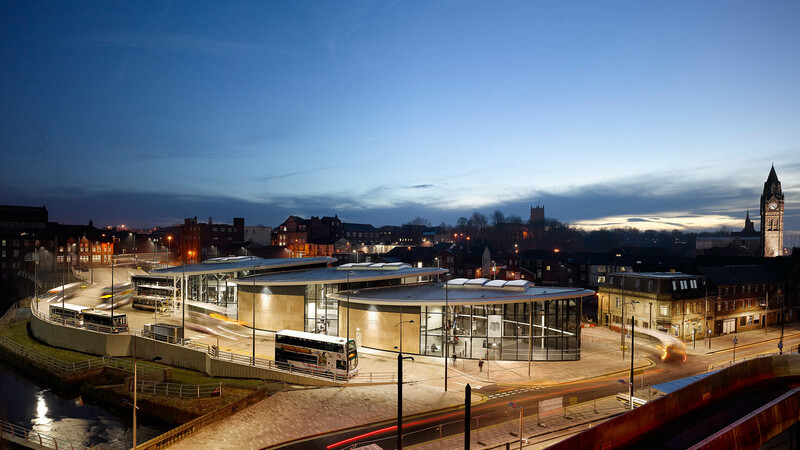 The Interchange comprises 12 bays with a combination of stands serving a varied bus fleet. 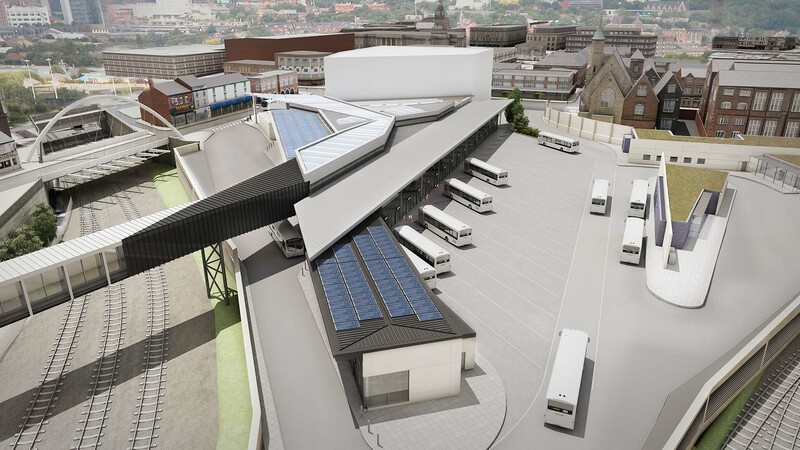 New taxi facilities are planned allowing the new town centre Metrolink extension to terminate by the new interchange. 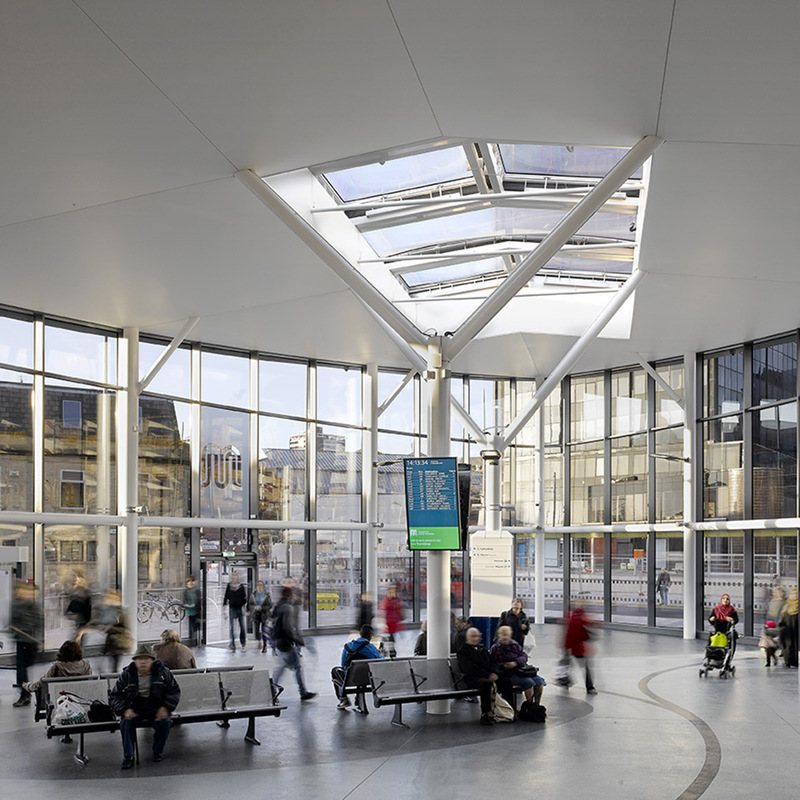 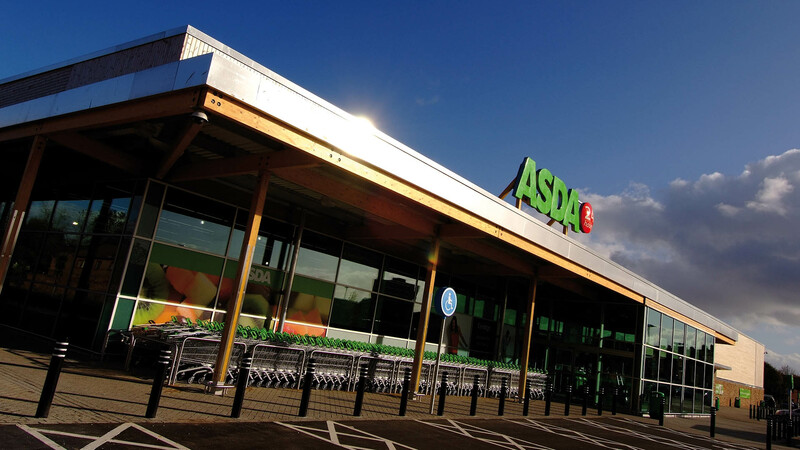 The concourse is complemented by three pods of accommodation, incorporating operational and driver facilities, Travelshop, public conveniences and retail.